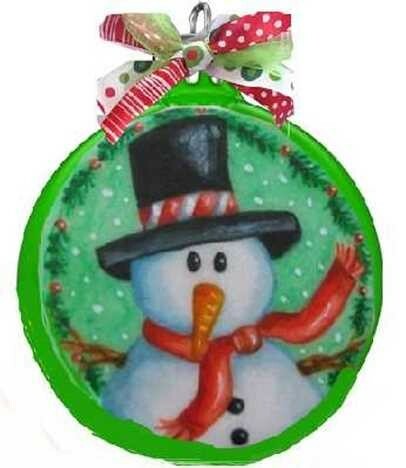 Our glass ornaments come in one size large which is about 3 1/2 in. across. We can also add names and dates just put your request in the Reques Box. 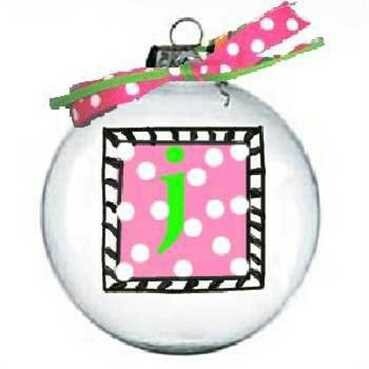 Heaven must have sent this angel Christmas ornament just for you to watch over your Christmas tree. Hand painted in a bright royal blue dress and etched in gold, a little magic is sprinkled in the form of crystal snow to give that angelic affect. 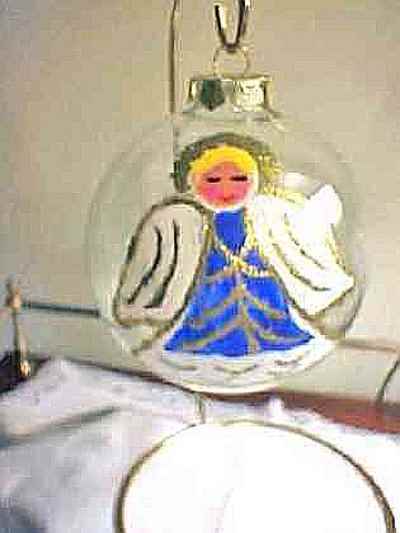 Hand painted Angel Christmas ornament is out of this world and just waiting to be placed on your Christmas tree.